Everyone is at a different milepost in their walk through life. Wherever you are on that path, and wherever your ventures lie, our luxury apartments in Ladson SC at Cypress River, aims to accommodate you. We are uniquely situated in an area perfect for commuters, students, military service members, workers, adventurists, weekend excursionists who need a taste of the city from time to time, and everyone in between. A short drive north of Charleston, SC, Cypress River in Ladson is less than a mile away from the main campus of Trident Hospital and five miles away from its sister facility, the Summerville Medical Center. A short commute further south is The Charleston International Airport and the Boeing Company, making this location perfect for employees in multiple trades. The beautiful Charleston Southern University is also just a couple minutes away, and Trident Technical College is a short drive south off the interstate, making our apartments ideal for any students or faculty of either school. With convenient access to I-26, you're only a short trip away from whatever you need. 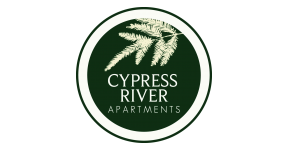 Whether your lifestyle keeps you close to home or out and about, Cypress River is right where you need to be. Call today to make our apartments your new home!